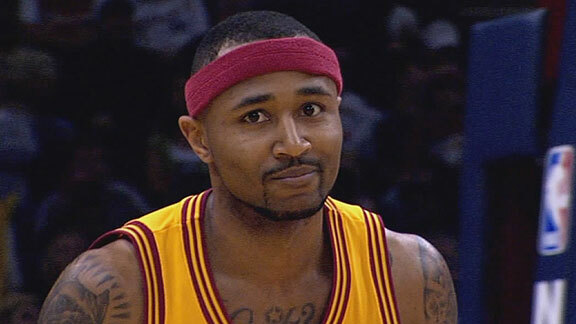 Free agent point guard Mo Williams has agreed to a two year deal to return to the Cleveland Cavaliers according to several media outlets. Yahoo Sports writer Adrian Wojnarowski first reported the deal. The 32 year old guard played for Cleveland from 2008 to 2011, he was traded from Cleveland for Baron Davis and a first round pick which ultimately became the man he’ll backup in Cleveland, Kyrie Irving. Williams played 68 games and averaged 14.2 points per game with the Minnesota Timberwolves and the Charlotte Hornets. He had offers from San Antonio, New Orleans and Dallas before making his decision to return. He will reunite with his former teammates Lebron James and Anderson Varejao. He will split the backup point guard time with Matthew Dellavedova who the Cavaliers plan on bringing back according to ESPN writer Marc Stein. The Cavaliers needed to add another point guard after Dellavedova struggled towards the end of the NBA Finals. Williams has starting and a lot of playoff experience and will be able to step up if Irving goes down due to injury. Now I know Williams struggled in the playoffs during his first stint in Cleveland. But he pegged as the number two option behind Lebron James. This stint, he’ll be fourth or fifth option behind James, Irving, and Kevin Love. Williams will bring energy off the bench and he’s a great three point shooter. Cavaliers have also talked to the Los Angeles Clippers about Haywood. One name that could land in Cleveland is shooting guard Jamal Crawford. Brian Windhorst said on ESPN Cleveland Monday morning that the Clippers rejected the trade offer already but things can change quickly.